There are three reasons why Mike Holloway won the season. Fun Fact: He’s one of my early favorites too. 1. He outwitted. Since Day 1, Mike knew the game was all about numbers. He’s in a friendly and close alliance with Dan and Kelly. Luckily, when the three tribes were switched in Episode 5, Mike found himself in a tribe where there were more threats than him. He used this opportunity to save an ally and take out a white-collar threat, Joaquin. Merge came and Mike failed to protect Kelly from elimination when Jenn played her hidden immunity idol. From that moment on, he knew Joe was one of the biggest threats in his game. Mike dug deep to find the hidden immunity idol, which resulted to Joe’s ouster. After the Survivor Auction, however, Mike became public enemy number one when his alliance began to hate him. 2. He outplayed. Mike lost the numbers but he managed to survive. With a hidden idol inside his pocket, Mike still fought hard to win an immunity challenge. He won his first individual immunity in Episode 10 against the a former football placekicker, Tyler Fredrickson. He won again in Episode 11. In Episode 12, Mike lost the challenge but he used his hidden idol to protect himself against the majority. Mike remained unstoppable in Episode 13 as he completed the table maze in a go-home-or-go-hard moment against Sierra. During the finale episode, Mike won the back-to-back immunity challenges, outplaying Sierra, Mama C, Rodney and Will. 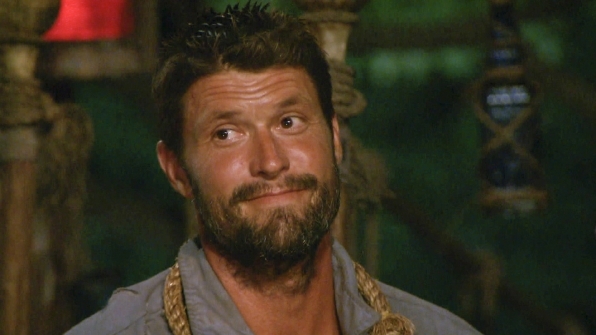 He’s now tied with Colby (Season 2), Tom (Season 10), Terry (Season 12) and Ozzy (Season 13) for five immunity wins in a single season. 3. He outlasted. The game opened an explosive drama when it’s Mike’s turn to face the jury. He was hated, underestimated and compared his overall game play to a howler monkey. Mike humbled himself. He sincerely apologized to all the people he hurt. Jury members accepted his apology, where six of the eight helped him win the title of sole survivor. No one cares about this countdown except me. 4. I Don’t Mind by: Usher ft. Juicy J.